We feel that the cause of much of beach & ocean litter comes from miles and miles away from the ocean. We have many rivers that run from the mountains straight into the ocean. 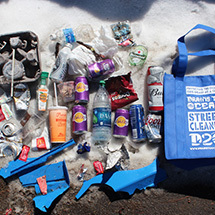 Respecting the Mountain is a new D2O Campaign where we join up with active volunteers at locations on or near the LA Mountains and hold educational cleanups. We encourage everyone to do a safe Street Cleanup in your own neighborhood, at least once a month. We think that the majority of trash that is on the beach, comes from litter on our city streets. It starts at our front doors. Our Street Cleanups include parks, rivers, lakes and city streets. Join up with other active volunteers and start a street cleanup today! Beach cleanups are a fun way to volunteer your time with other active volunteers by helping to keep our beaches and ocean clean! We provide everything you need and offer community service hours if needed. We welcome all ages, schools, clubs, businesses, and other large groups at our cleanups. 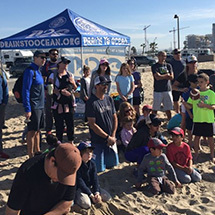 Click on our Calendar above to find future D2O beach cleanups.